This entry was posted in Uncategorized on 17 March 2019 by Charlie West. 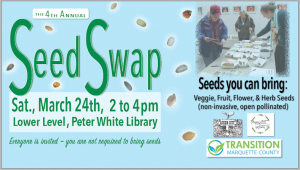 The Transition Marquette County Repair Cafe will be open again on Saturday, Mar 16, in the Marquette Arts and Culture Center, on the lower level of the Peter White Public Library in Marquette. From noon to 4pm on that day, the public is invited to bring in small household items in need of repair. Volunteer repair talent will be on hand to work on computers and electronics, sewing machines, small appliances, clothing, lamps, and other household items. The focus is on helping people learn to repair their own items, thus saving money and keeping material out of landfills. There is no charge for this service; a $5 donation is suggested to support the program. 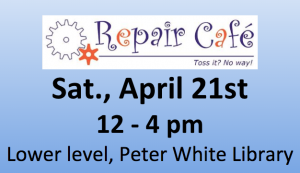 Future Repair Cafes are scheduled for April 20, and May 25. For more information call Tom at 573-300-1341 or email tfgauthier55@live.com. This entry was posted in Uncategorized on 18 February 2019 by Charlie West. In the Dandelion Cottage Room at Peter White Library. 7pm. We will be discussing The Big Hunger – the Unholy Alliance between Corporate America and Anti-hunger Groups. It’s an interesting, disturbing, and challenging read. If the movie Wasted troubled you – this is a book you want to read. This entry was posted in Uncategorized on 5 January 2019 by Charlie West. 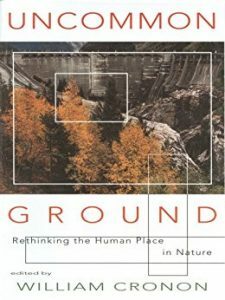 The Transition Marquette County Reading Group’s discussion of the book Uncommon Ground will be on th e 4th Thursday of May (the 24th) at St Paul’s Episcopal Church (one block east of the Library). This entry was posted in Uncategorized on 3 May 2018 by Charlie West. This entry was posted in Uncategorized on 17 April 2018 by Charlie West. The Transition Marquette County Reading Group will sponsor a conversation on Building Community Resilience at 7pm on Thursday, April 12, in the Conference Room at the Peter White Public Library in Marquette. Resources for the conversation will include two books Community Resilience Reader, edited by David Lerch, and Resilience Thinking by Brian Walker and David Salt. This entry was posted in Uncategorized on 29 March 2018 by Charlie West. This entry was posted in Uncategorized on 18 March 2018 by Charlie West.